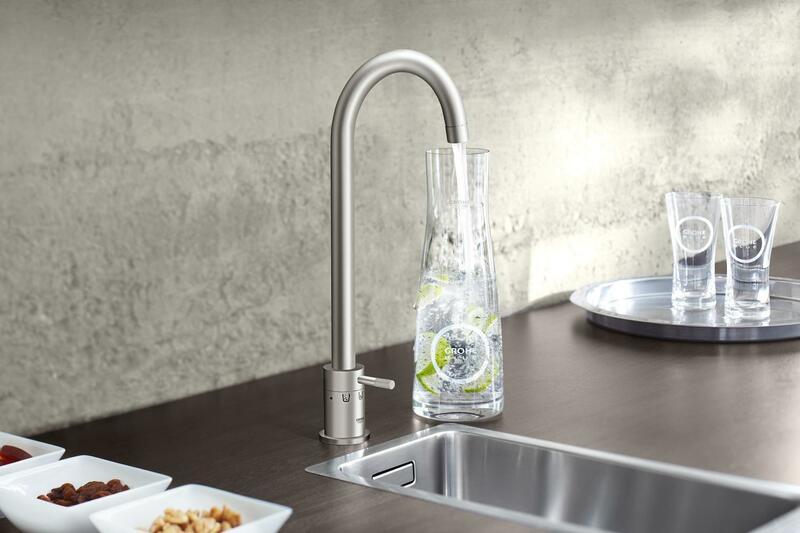 GROHE Blue Professional offers chilled and filtered water enjoyment straight from the kitchen faucet to small or medium-sized office kitchenettes. The water system offers employees water which has been cooled to temperatures of six to ten degrees in three variations: sparkling, medium or still. 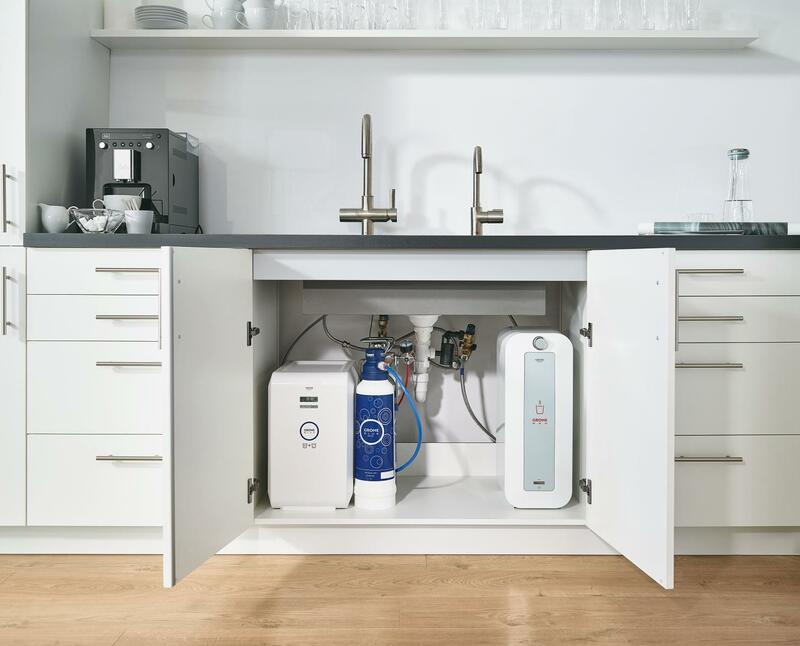 GROHE Blue Professional is able to produce up to fifteen liters of chilled and carbonated water per hour. The filtered water is also ideal for making coffee or tea, making them taste better. Instead of having to lug around water crates or bottles, employees get their preferred water directly from the GROHE water system. 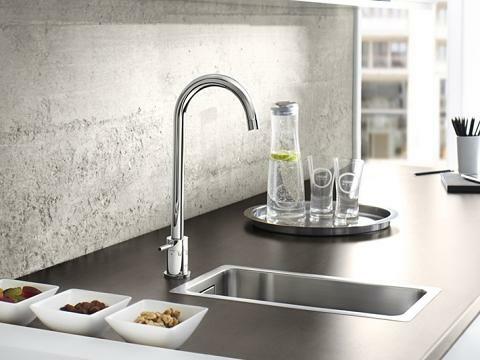 The GROHE Blue Duo faucet provides not only fresh, filtered table water, but also “normal” tap water. To ensure that the GROHE Blue water will not be getting mixed with the unfiltered water or metal parts, the high-quality faucet features two separate waterways – one for the utility water and one for the purified GROHE Blue drinking water. This prevents the water from becoming tainted, preserving the great filtered taste. The high 180-degree swivel spout is ideal for filling tall carafes. And not to forget: The GROHE Blue Professional faucet can be easily installed and retro-fitted in all kitchenettes. The GROHE Blue Professional set consists of a cooler, the single-lever mixer including the filter function and a water filter with a filter head and carbonator box. 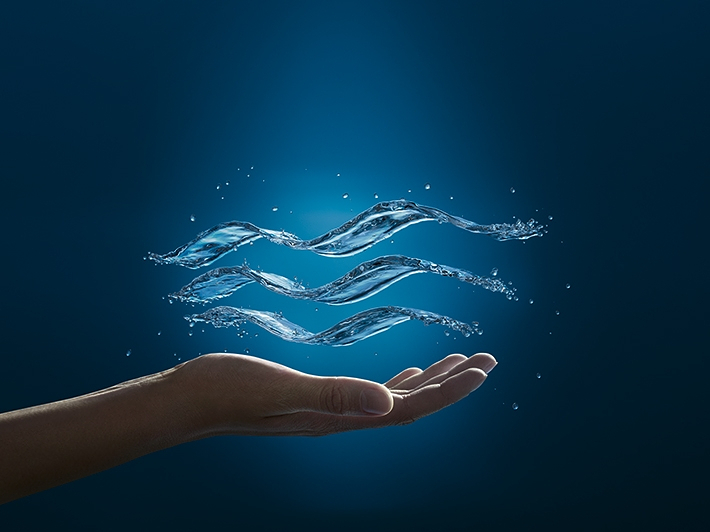 The filters are available in capacity sizes for up to 3,000 liters, according to a company’s individual needs. An LED display on the faucet handle indicates when the water filter needs to be changed. All undesirable substances are safely removed by the 5-phase filter, resulting in a perfect water taste. The carbonator simply needs to be connected to the cooler. GROHE Blue Professional is extremely compact and fits into all kitchenettes since the cooler already fits into a standard kitchen cabinet. GROHE Blue Professional is quickly installed and therefore ready for use in no time. Lugging around water crates for offices and small or medium-sized companies will no longer be necessary. At the same time, this alternative solution is also environment-friendly. To receive one liter of filtered water by using GROHE Blue Professional the exact same amount of water will be expended. On the other hand, to produce one liter of bottled water, an amount of seven liters of water is needed. Moreover, CO2 emissions will be significantly reduced: instead of 600 grams of CO2 emissions per liter of bottled water, Blue Professional only produces 17.96 gram per liter.